Year 2011 was the year of biggest change in our history, as we started production in our new and modern factory in Heinola. From 2011 to 2013 we have made big investments in new manufacturing equipment and technology, and we now have three times the production capacity as in our previous factory in Hartola. Our company was established in Hartola, Finland by a talented skier and craftsman, Toivo Peltonen. 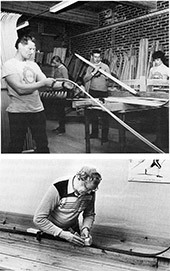 Handmade skis started to gain reputation among skiers and soon Toivo was a full-time ski maker. Skis were handcrafted from a single piece of wood with manual tools and treated with wood tar. Production of wooden skis doubled annually during late 40’s and early 50’s. Production of sliver skis started in 1955; skis laminated from multiple slivers of wood using hydraulic presses. The business grew steadily during the late 50’s and the annual production was around 2.000 pairs. Export to Sweden begins in 1967. New 1270 m2 production facility for 30-40 workers in 1970. Two Olympic gold medals for Peltonen in Sapporo 1972: Juri Skobov and Valeri Voronkov (USSR). 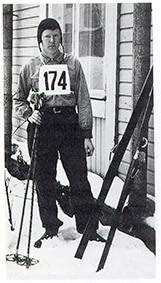 Success in Sweden: 26% of top 200 Wasaloppet skiers using Peltonen, Wasaloppet gold 1973 Pauli Siitonen. Production 1969/70: 13790 pairs. Transformation to fiberglass laminated skis with P-tex base begins. Last pair of wooden skis produced in 1974. Peltonen innovations Javelin tip and three-groove tail receive international awards. 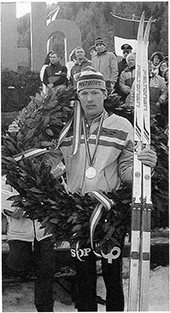 Gold for Peltonen in Lahti World Championships 1978, Christer Johansson (SWE). Investments in automation of production. Matti Peltonen takes over family business in 1985, Toivo Peltonen retires. 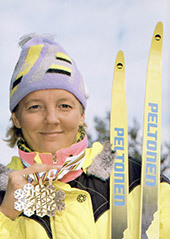 Success for Peltonen in World championships Lahti 1989 and 1992 Albertville Winter Olympics. The global cross country market went down from 3,7 million pairs in 1980 to 1,4 million pairs in 1995, but Peltonen managed to improve its sales while most small manufactures quit and giants stumbled. Lower price category ski production in Estonia starts in 1991. Changes in ownership of the company: 1999: Ski wax factory Oy Redox Ab (Rex) acquired as a daughter company for Peltonen Ski Oy. 1999: Distribution of Peltonen skis and Rex waxes exclusively to Normark Suomi Oy, a subsidiary of Rapala Group. 2002: Oy Redox Ab is sold to Peltonen family, Rapala buys Peltonen brand. Juhani Eskelinen starts as CEO of Peltonen Ski Oy. Matti Peltonen continues as a CEO of Oy Redox Ab. 2005 onwards: Investing in new factory machinery. 2007 World’s first XC-skis using nanotechnology. Hybtonite® nanocarbon epoxy exclusively for Peltonen. Adaptation of NIS binding standard, XTT extra light carbon tip and tail in race skis. 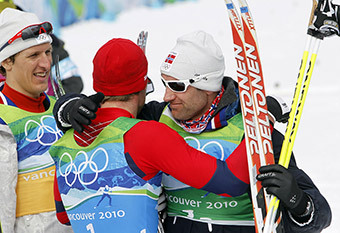 Medals achieved in world cup races, well-known skiers added to international racing team. 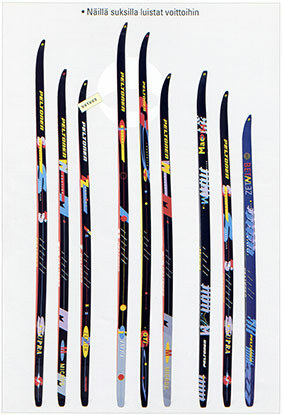 2009: Peltonen introduces revolutionary Nanogrip® waxfree skis. Patented technology licensed for Peltonen, Finnish inventor receives a highly appreciated national prize. 2011 Plans for new factory in Heinola (40 km from Hartola) announced, state-of-the art factory started production in autumn 2011. Ski production in 2011: 60.000 pairs, 15% up from previous year. Production capacity in new factory: 100.000 pairs annually.